When it comes to our design and development skills, the sky is no longer the limit. Our custom websites are clean, easily navigable, and are sure to leave a lasting impression on your targeted audience. Our team creates responsive websites that suit all users whether they are using a tablet, smartphone or their desktop. This ensures every part is what the client envisioned for their business. Mobile apps are a good way to elevate your business. At Integrated Webworks, we create high-end app designs to cultivate the perfect experience for your audience. The app can include all features from gestures to payment processing. Your vision is important to us, so we make sure to put the app through a vigorous testing phase to ensure a flawless experience. We strive to provide the best results through online marketing strategies. Our services for online marketing include; search engine marketing, social media marketing, retargeting and content writing. Our goal is to get your business in front of your customers through search engines to social media to mobile devices as well as AI search using Alexa, Cortana, SIRI or Google. With 16 years of experience, we believe in empowering companies with the right strategy necessary to succeed. 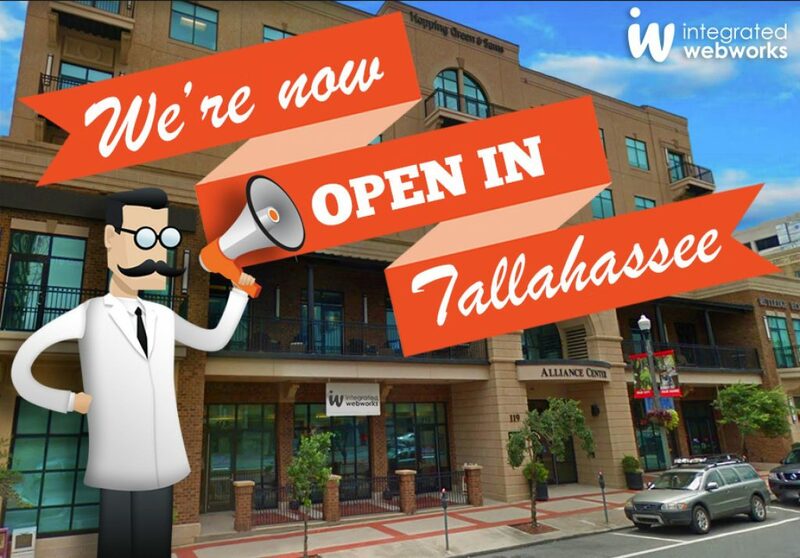 Our vision is to bring this award-winning website design and online marketing services to Tallahassee, Florida. Give us a call today at 850-389-0016 or click here.